Back by popular demand! Join us for an open discussion with a representative from the US Department of Justice. 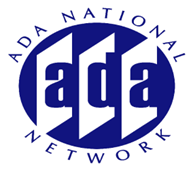 We invite you to bring your tough questions regarding a specific aspect of the Title II or Title III provisions of the ADA or any of the enforcement activities they have undertaken over the past several months. John will provide a brief update on DOJ's ADA related activities prior to the Q&A session.